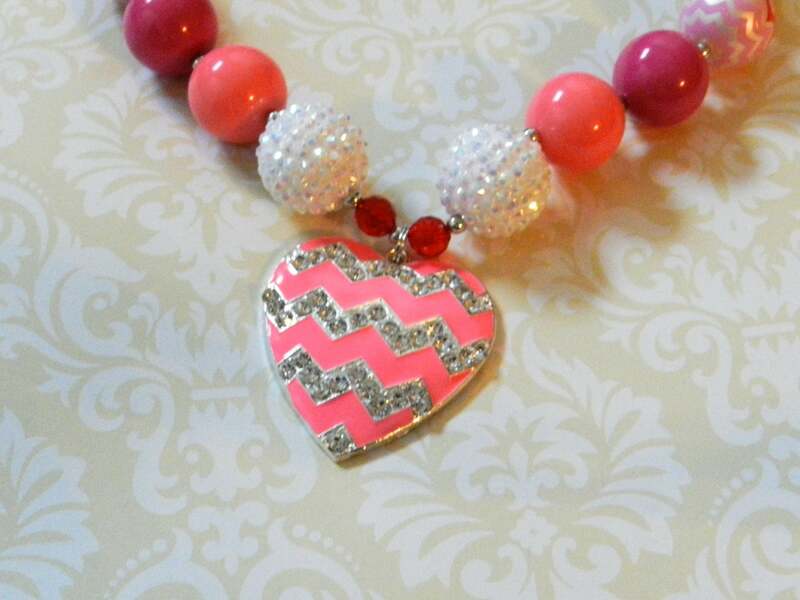 Pink or Red Chevron Heart Bubblegum Bead Necklace, Chevron Heart Rhinestone Pendant. 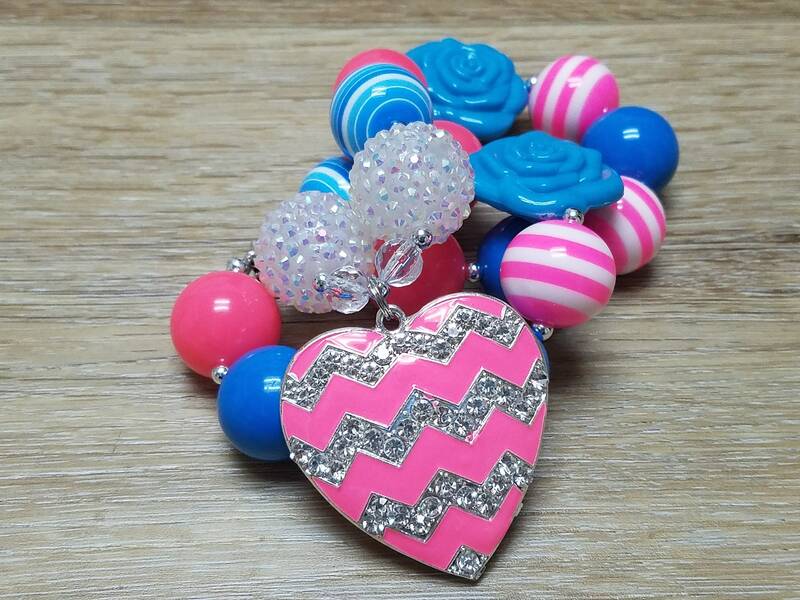 Perfect for Valentines day, a Heart themed birthday party, a trip, or just for anyone who loves hearts! 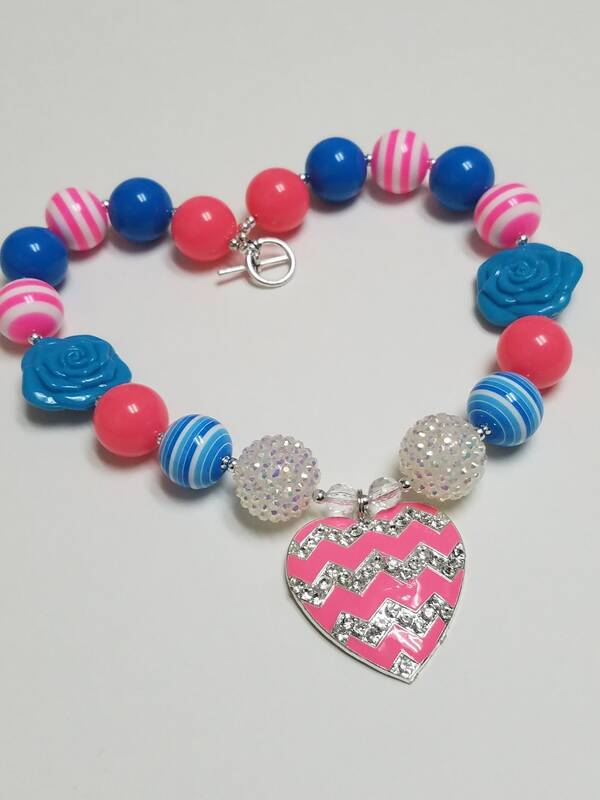 Handmade, custom designed, Bubblegum Bead, Chunky Necklace for Infant/Toddler/Girls of all ages. 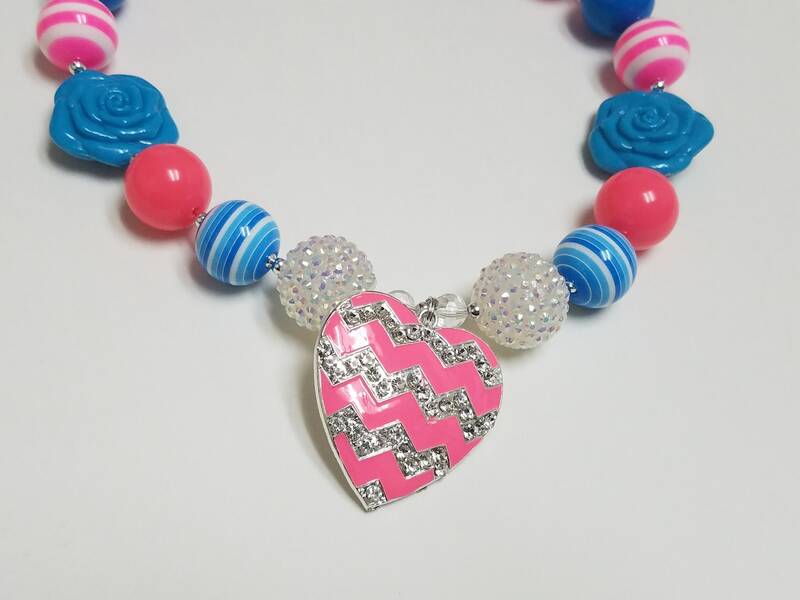 Made with pink chevron rhinestone chevron heart pendant. 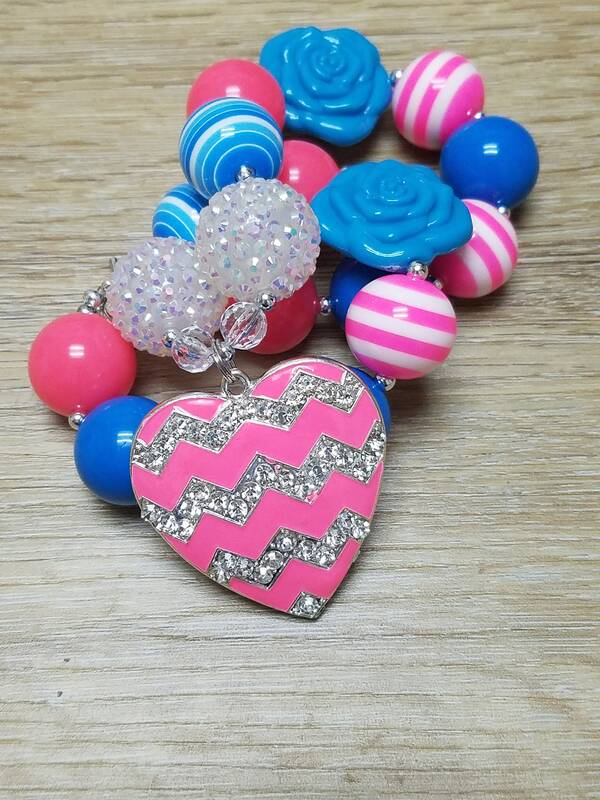 These necklaces are so popular right now. 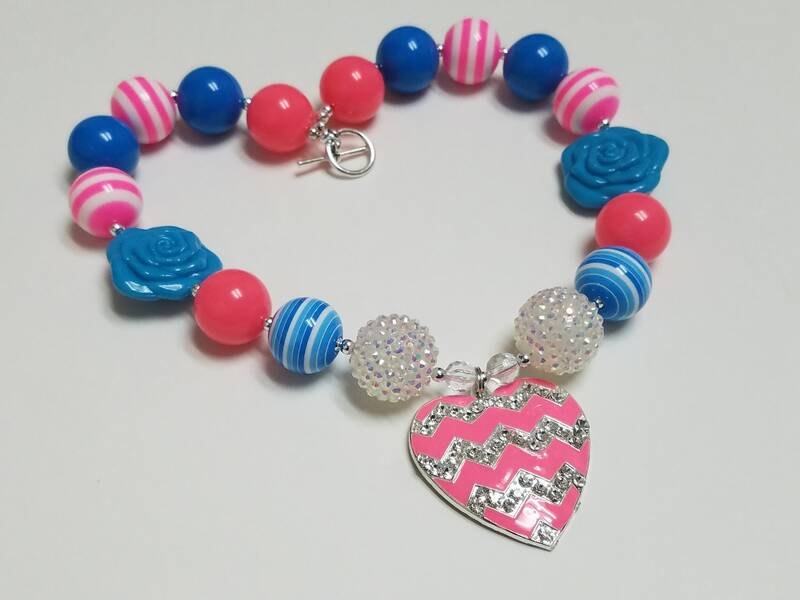 For Special Occasions, birthdays, photo prop, dress-up, baby doll and me sets, weddings or anytime!